Last week, we visited the Hoosier State and you can breathe the excitement in the air. The Tobacco Prevention and Cessation Commission at the Indiana State Department of Health (DOH) contacted us after receiving their LGBT Tobacco Control Report Card. They were ready to work towards improving LGBT needs and realities in their state. Scout and I flew to Indianapolis to provide LGBT cultural competency training on how to create inclusive programming, identify local LGBT community resources, and develop strategies to improve each report card area. After a quick lunch, participants reconvened to work on concrete action planning strategies to reduce tobacco and cancer control disparities. Folks were powered up to discuss inclusive and integrated approaches for the next three months. The distribution of targeted educational materials to regional county health departments clinics and offices, DOH presence during upcoming Pride events, meetings to establish a statewide strategy to work with LGBT communities, publish local LGBT cancer related data, and integrate with other health concerns like HIV and STDs were some of the ideas flying in. People were excited after receiving samples of My Worst Enemy and CDC TIPS campaign educational materials to educate about the unfair burden of smoking in local LGBT communities. We will continue visiting states to make sure our health continues to improve. We will watch closely what happens in Indiana. Do you want your state to follow on the steps of Indiana? 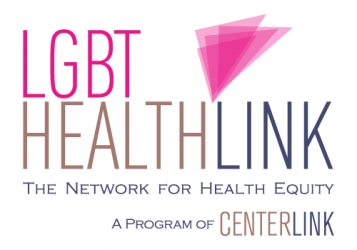 Contact us for support at healthlink@lgbtcenters.org or call us at 954.765.6024. Juan Carlos Veg a, LGBT HealthLink Policy Manager, is a librarian, blogger and founding member of the Citizen’s Alliance Pro LGBTTA Health of Puerto Rico. He has devoted his public health work to reduce health disparities among LGBT and communities of color. He is the frontline person to ensure both states and community organizations have the tools they need to improve measures for LGBT wellness. If you want to work to advance LGBT health in your state or your community contact him at juancarlos@lgbtcenters.org. Reblogged this on ActivistLibrarianPR's Blog.